Core 59 och Core 7 är de mest avslöjande referensmonitorerna i Dynaudios historia med häpnadsväckande exakthet när du absolut måste höra varje enskild detalj. Core är designade, utvecklade, testade och byggda i Danmark. Elementen är handbyggda på Dynaudios högkvarter och varje högtalare blir individuellt kalibrerad innan den lämnar fabriken. Varje element har sin egen dedikerade Pascal Class-D förstärkare. Core 59 är 3-väg och har 500W för bas- samt mellanregisterelementet och 150W för diskanten, totalt 1150 feta Watt. 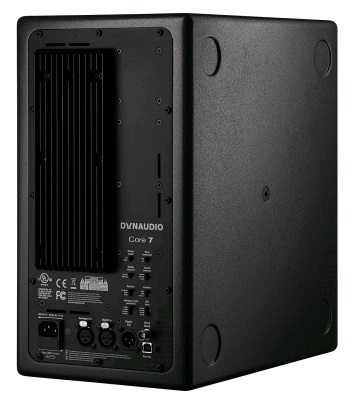 Core 7 är 2-väg och har 500W för bas-/mellanregisterelementet och 150W för diskanten, totalt 650 Watt. DSP optimerar Cores prestanda för positionering, ljudbalans och basförstärkning. De har olika inställningar beroende på vart du placerar dina monitorer – om de ligger på ett mixerbord, är inbyggda i väggen, om de står nära väggen eller rummets hörn. Precis som LYD-serien använder Core fullspectrum bandpassfilter för att ställa ljudbalansen. Det innebär att hela frekvensåtergivningen ”tiltas” vilket bibehåller den korrekta fasen mellan elementen samtidigt som den ger ljudet som uppfyller din smak. Dynaudio har varit i spetsen för digital processering i studiomonitorer sedan de introducerade AIR-serien 2002. De högtalarna var långt före sin tid, med nätverksanslutna digitala anslutningar och avancerade processeringsalgoritmer. Core bygger vidare på den legendariska designen med det senaste inom DSP och AES3 digital anslutning. Cores DSP behandlar alla analoga signaler med en samplingsfrekvens på 192 kHz och 64-bit upplösning för största möjliga matematiska precision. *Priserna är inklusive moms. Kolla alltid vår produktdatabas för uppdaterade priser. Breathtaking accuracy for when you absolutely must hear every single detail. 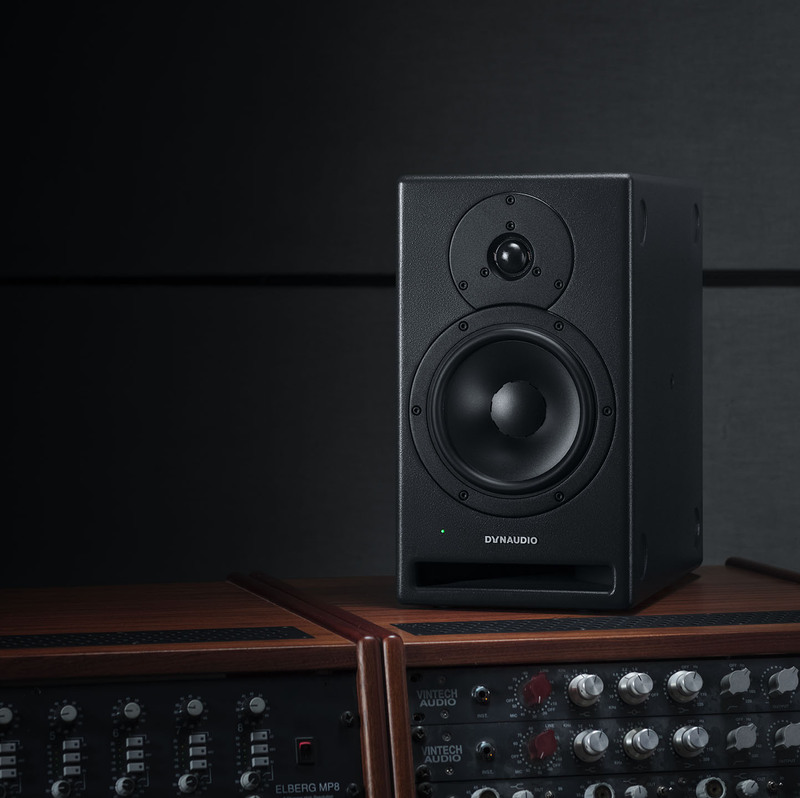 A reference monitor system is the heart of any great studio. Producers, engineers and musicians rely on reference speakers to reproduce exactly what was recorded – warts and all – so they can listen to, tweak and perfect their work. The new Core series meets the toughest demands that career professionals can place on their monitors to help them create the most compelling audio productions. They give you everything you need to hear. All Core monitors use our latest acoustic technology. Our engineers and designers, who never appear to sleep, have taken the legendary AIR-series speakers found in the best studios worldwide, then evolved them, enhanced them, simplified them and perfected them. Each Core speaker has been engineered and built in Denmark to perform flawlessly in this high-stress environment, faithfully reproducing your sound as you create it. From pounding electronic drums and explosive low-frequency effects in the latest movie trailer to the finesse of pianissimo strings and breathy, airy vocals, Core monitors deliver the truth to your ears without compromise. If it sounds great, it is great. If there are problems in the mix, you won’t be lied to – you’ll get nothing but the honest truth so you can fix it, and fix it fast. No more trips to the car to check the bass yet again. Dead-accurate midrange so vocals and dialogue end up at the right level on every system. Effortless high frequency details that don’t fatigue your ears after a long day in the studio. These are the hallmarks of a Dynaudio professional monitor, and the Core series takes them to a new level. Thanks to our new Jupiter testing facility (among the largest in the world) and an ever-expanding engineering and design departments, we’ve been able to pursue advanced technology breakthroughs at a feverish pace. And they aren’t just drawing-board concepts: witness Core’s all-new Esotar Pro tweeter. 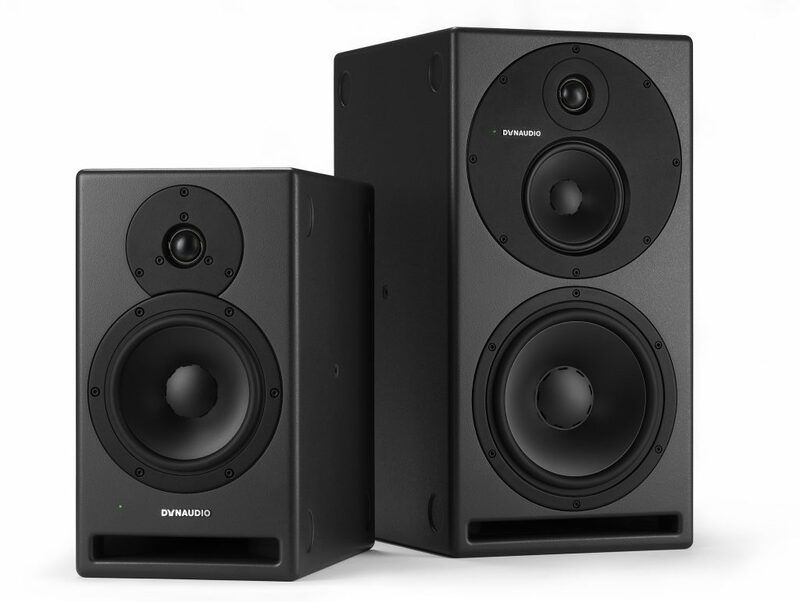 It takes everything studio engineers know and love about previous Dynaudio soft-dome tweeters and adds the ingenious new resonance-defeating Hexis device. This next-generation tech smooths out the frequency response and minimises unwanted resonances – revealing transients while maintaining sensitivity to low-level details, imaging, and depth. Get ready to hear things in the mix you’d never heard before. Core’s midrange and bass drivers are built with novel combinations of elements to precisely optimise each unit’s performance for its intended purpose. Deep bass drivers, for example, have different requirements than midrange motors in three-way designs – so the materials used are specifically selected and tested to perform each duty at the highest level. A copper voice-coil, glass-fibre former and ceramic magnet are implemented in the low frequency drive units to enhance the ‘BI’ (force factor) needed for punchy, deep, and accurate bass – whether you’re monitoring at low-level or the band is standing behind you and they’ve demanded you crank it. 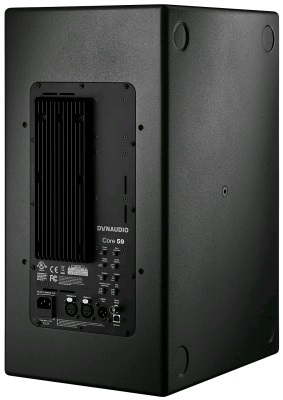 Dynaudio has been at the forefront of digital processing in monitor systems since we introduced the AIR series in 2002. Those speakers were way ahead of their time, with networked digital connections and advanced processing algorithms. 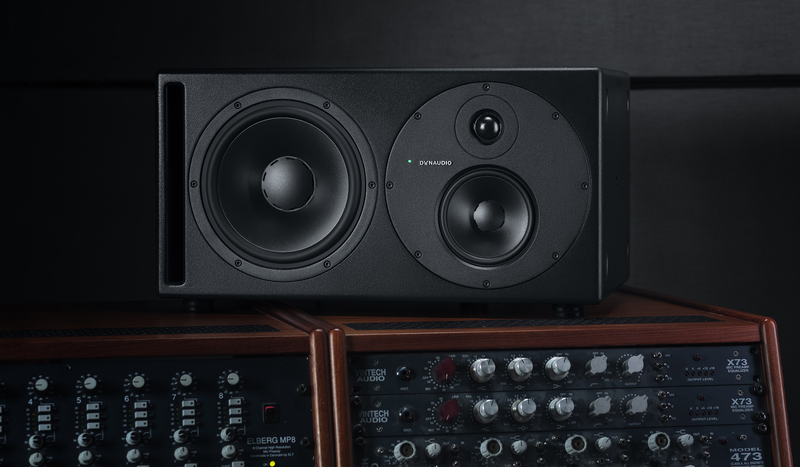 Core builds on that legendary design with the latest in DSP and AES3 digital connectivity, giving you all the refinements that come from the AIR experience found in so many studios. And more: Core also features both analogue and digital inputs with simplified (yet more useable) DSP settings. Using the analogue inputs, all audio is processed at 192kHz for the crossover and tuning, yielding the most accurate reproduction possible. Class-D amplification from Pascal provides the power and punch, delivering the finest details along with the deep, visceral bass that our reference monitors are famous for. AES digital inputs are provided for the most direct signal path available, with external word clock to synchronise with your studio’s infrastructure. Flexibility in installation is another Core essential. We’ve designed the series so that each monitor can be placed horizontally or vertically, and can be mounted on all four sides for a multitude of positioning possibilities. Special pads fit into indentations on all four sides of the cabinet, making it easy to place the speakers as you need without damaging their finish or the supporting surface. The pads keep them ultra-stable, too. This flexibility, coupled with a standard VESA mount, makes for a bold and durable construction that’s up to the rigours of studio use in a raft of situations. And because the entire design and assembly process is handled at our factory in Skanderborg, Denmark, the opportunity to test the efficacy of each design is as simple as walking it over to the Jupiter testing room to put it through its paces. In the end, though, our experienced acoustic designers have the last say in how a design performs in the real world. They use the best listening instruments it’s possible to find: their own ears. 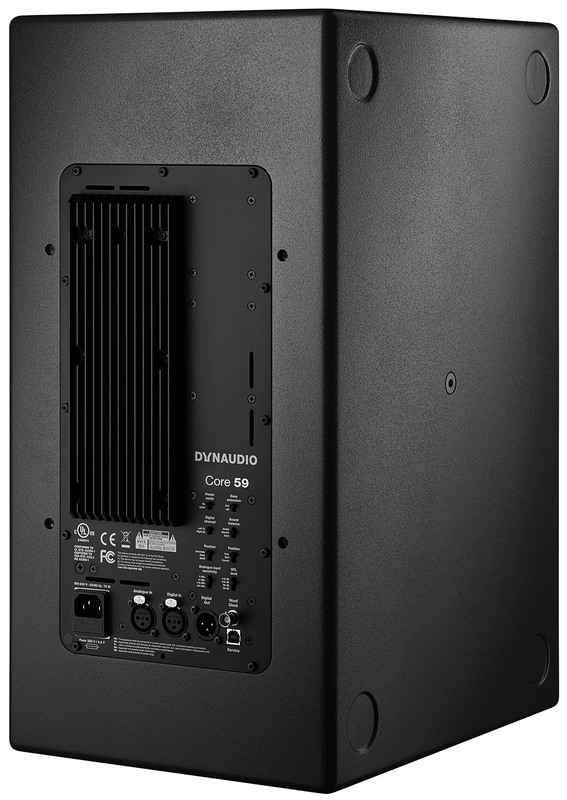 When it passes this test, it is truly a Dynaudio product. You need a monitor system you can trust. Trust is something that’s earned in this industry and the Core speakers are ready to earn yours by giving you the most accurate reproduction that the latest technology and 40 years of expertise can provide. The Core professional monitors are simply the best we’ve ever made. This is what performance sounds like.